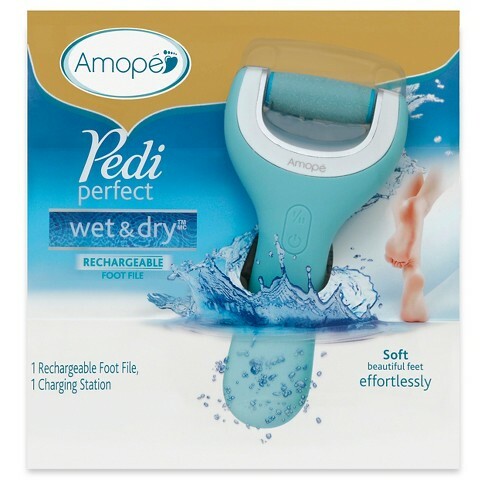 I read about the Amope Pedi Perfect foot file on my friend Andrea’s blog, I Want To Be Her, a couple of weeks ago, and because it was recommended by a beauty editor I respect—and because my callous situation is quite dire—I ordered it immediately. 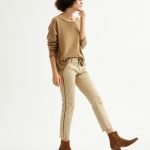 And reader, I am here to tell you that if, like me, you’ve tried other solutions—scrubs, files, pedicures—and found the results wanting, you might want to give this a shot. It removes callous so fast and so well that you’ll wonder how you ever lived without it. Have you tried Baby Feet??!! The stuff from Japan that you put on your feet and then a week later all your callous starts coming off in big chunks? Yes, I have purchased it but not yet used it because the falling-off-in-chunks part grosses me out just a little. Baby feet is amazing but will not remove the stubborn terrible callouses on my big toes. Going to try this! I bought Baby Feet months ago, and it still sits in the cabinet, because I am afraid of the falling-off-in-chunks situation. Pedi Feet looks more manageable. It’s not one of those scary files, is it? ( I think I have issues. WHen I get a pedicure I have to grit my teeth when they touch my baby toe). I bought Baby Feet months ago, and it still sits in the cabinet, because I am afraid of the falling-off-in-chunks situation. Pedi Feet looks more manageable. It's not one of those scary files, is it? ( I think I have issues. WHen I get a pedicure I have to grit my teeth when they touch my baby toe). I tried it the other week and they did NOTHING. $20 bucks down the drain. I tried it too, 2 weeks ago – completely nothing. I tried it too, 2 weeks ago - completely nothing. Yup. I use this too… love it! I resisted for years, thinking it was another silly gadget. In reality it’s a silly gadget that’s earned its keep. Yup. I use this too... love it! I resisted for years, thinking it was another silly gadget. In reality it’s a silly gadget that’s earned its keep. I’ve tried Baby Feet- the one where your entire foot sheds a couple of layers. It’s gross AND awesome! I’m going to try this in between . Thanks! Kim, two words that will change everything. Medical pedicure. It’s medical because they use medical grade tools and procedures at a podiatrist’s office. I went to Medical Pedicure NYC and Marcella Correa, a certified medical nail technician, did my pedicure and it was life changing. She did my husband’s feet too. His results were remarkable considering he never had a regular pedicure before and he just trims his nails. But both of our feet were like baby’s feet, new skin surfaced without the calluses, deep heel cracks, etc. I have before and after pics of my feet on my Instagram (scroll to 8/12/16 posts) as well as a procedure video. It’s not cheap but so worth it and you can buy a package where it’s more economical. She’s a once a year indulgence for me. My feet look great after, like the bare feet of an ancient Greek statue of Diana, and you don’t really care about polish for a few weeks once you have this born again virgin feet. I’ve never had a pedicure by Bastien, who’s based in Paris, and is sometimes in NYC, but it sounds like it may be similar. She's a once a year indulgence for me. My feet look great after, like the bare feet of an ancient Greek statue of Diana, and you don't really care about polish for a few weeks once you have this born again virgin feet. I've never had a pedicure by Bastien, who's based in Paris, and is sometimes in NYC, but it sounds like it may be similar. Yes! The Amope and this lotion every night on your feet: https://smile.amazon.com/Aveeno-Relief-Intense-Moisture-Overnight/dp/B00UT468A8/ref=sr_1_4_a_it?ie=UTF8&qid=1523028081&sr=8-4&keywords=aveeno+overnight+lotion I am not sure why it works so well, but it makes a HUGE difference. I REALLY loved the Amope when I first bought it but it lost power over time (new batteries didn’t make a difference) and just lost its ability to scrape effectively. I have since bought a Dremmel tool on Amazon and the pet nail attachment (I know!) and it works better and longer than the Amope ever did. I REALLY loved the Amope when I first bought it but it lost power over time (new batteries didn't make a difference) and just lost its ability to scrape effectively. I have since bought a Dremmel tool on Amazon and the pet nail attachment (I know!) and it works better and longer than the Amope ever did. Has anyone tried the wet and dry rechargeable version that comes with a docking station? I have the wet and dry rechargeable. It’s amazing! I never wanted to buy the battery one because I hate replacing batteries. I love this one! It actually works…..
Also, Baby Feet is cool, but it is really gross for a week…you look like a leper. Which is embarrassing during yoga. Also, Baby Feet is cool, but it is really gross for a week...you look like a leper. Which is embarrassing during yoga. Best. Thing. Ever. BabyFoot is great but unpredictable when it will be done shedding your skin. Revlon foot file. https://www.walgreens.com/store/c/revlon-wet/dry-foot-file/ID=prod6306493-product?ext=gooPLA_-_Personal_Care&ext=gooPLA_-_Personal_Care&pla&adtype=pla&kpid=sku6259162&sst=545b1f47-3b2d-4572-9d98-a60e45cef333 Best. Thing. Ever. BabyFoot is great but unpredictable when it will be done shedding your skin. I also get a medical pedicure about 3 times a year. My podiatrist gave me exercises to do to reduce the corns on my toes which have been effective. I use the Dr Scholls callus remover which looks similar.